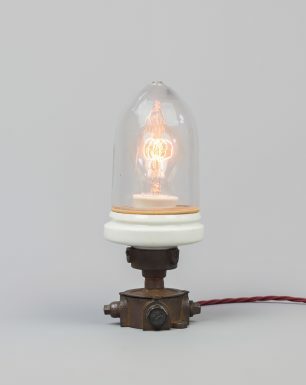 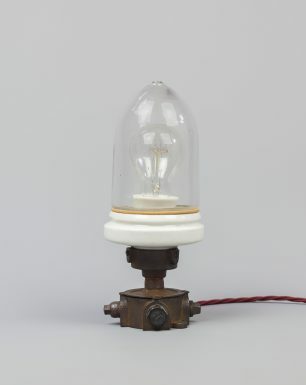 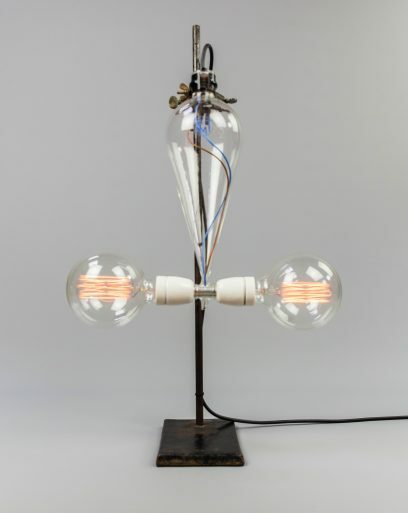 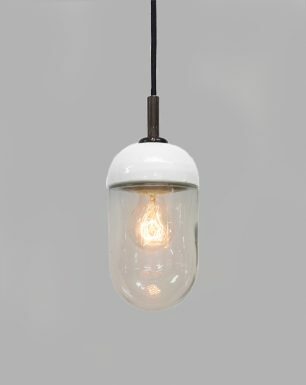 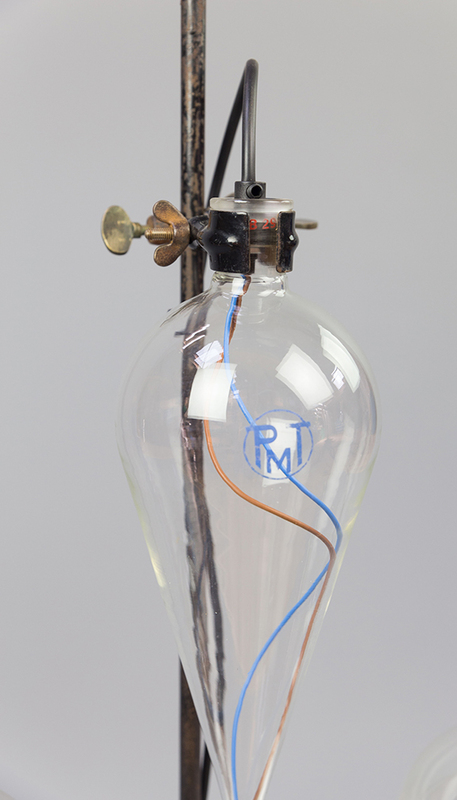 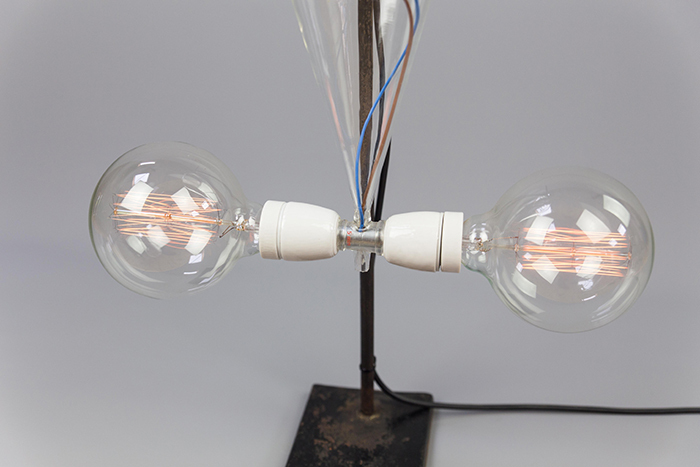 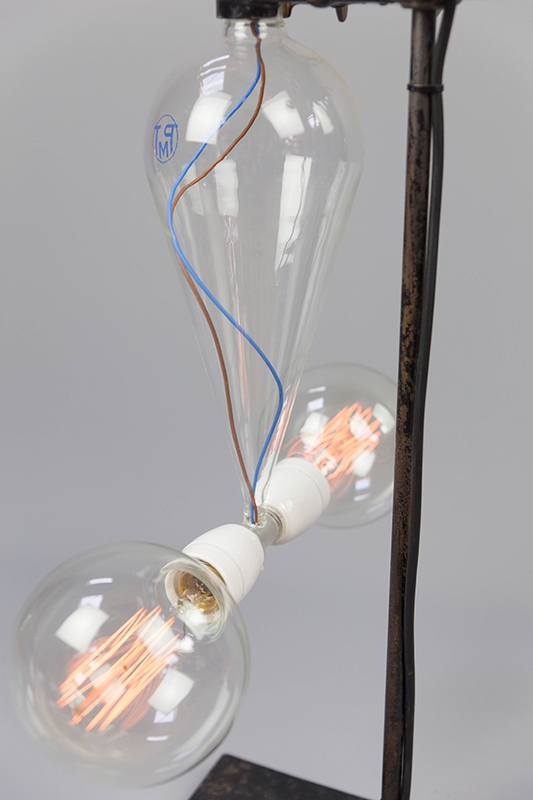 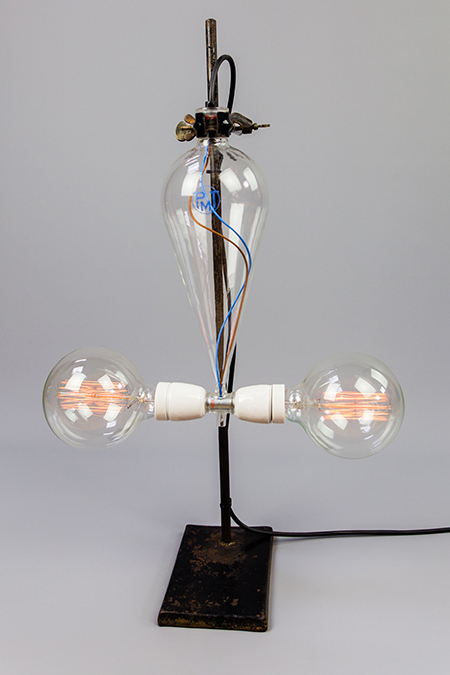 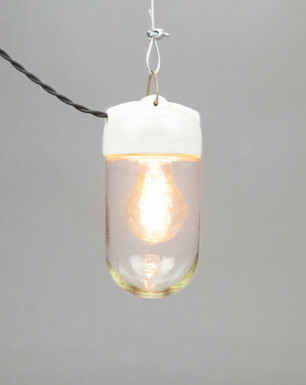 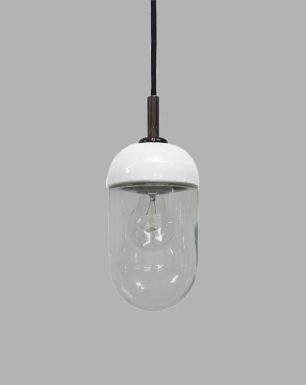 This unique lamp has been created from an original separator funnel, a piece of laboratory glassware used to separate components of a mixture into two phases. It consists of a cone-shaped glass body with a stopper on top, and a stoptap at the bottom, both made out of glass. 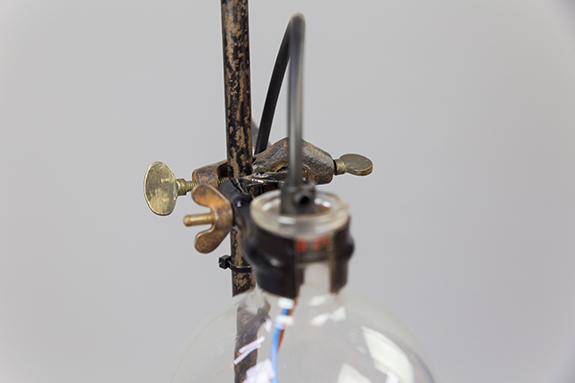 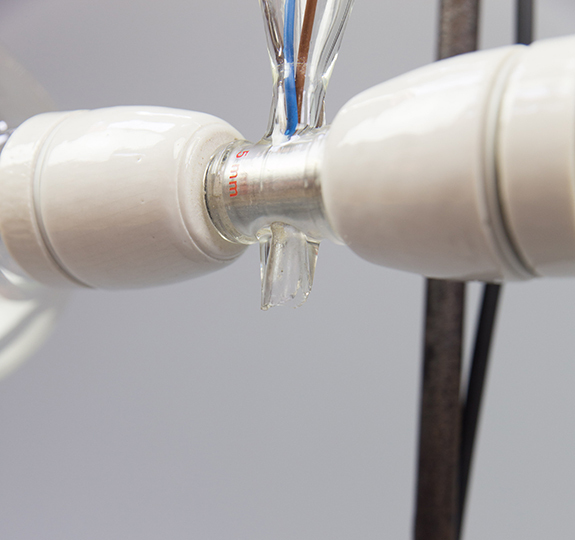 The broken tap has been featured with two porcelain sockets, each holding a decorative globe bulb, to emphasize the elegance of the laboratory glass. 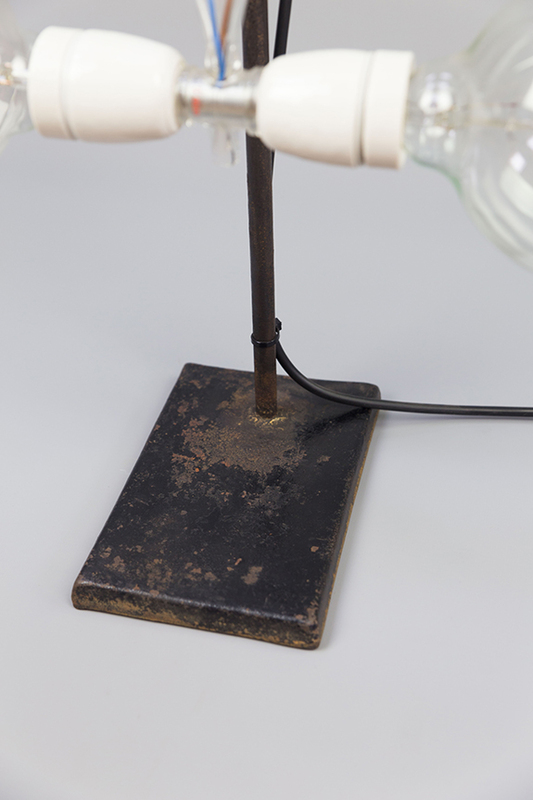 The Curled Octopus is suspended from a cast-iron ring stand. 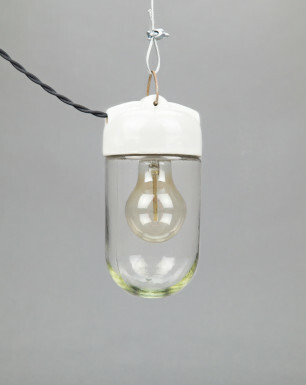 The glass is made from borosilicate glass, a typical ‘hard-glass’ that is resistant to temperature change, and was developed by German glassmaker Otto Schott in 1980s. 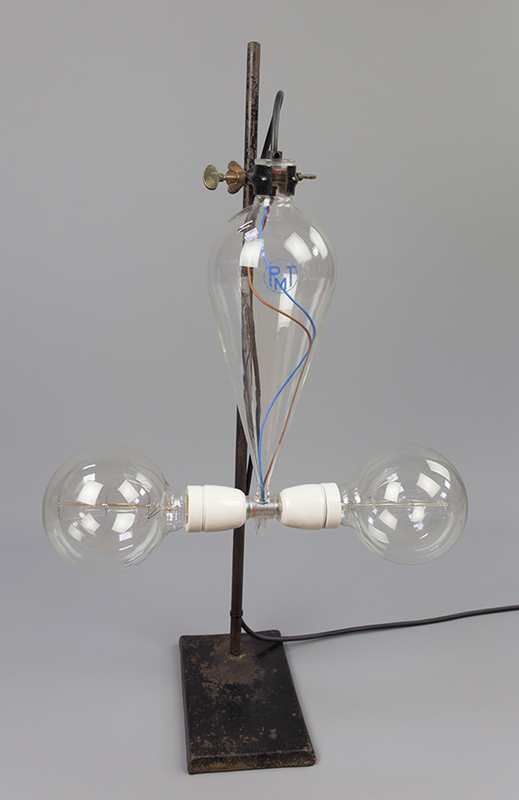 The fixture was found in the main building on the terrain of one of the largest laboratories in East Germany. 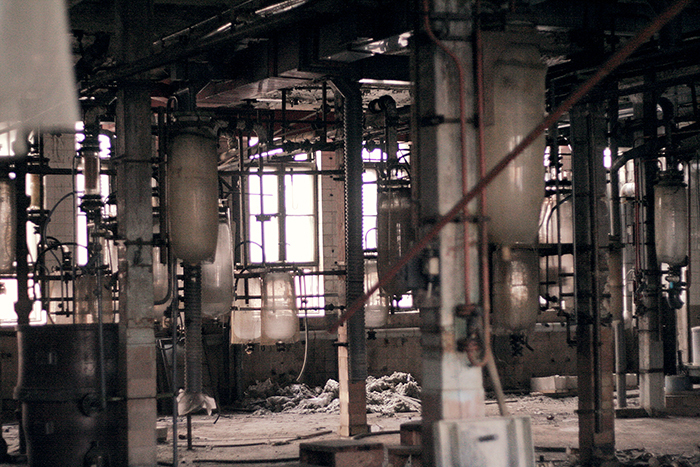 After WWII this lab was part of the soviet military administration, and became a state-owned companies until the reunification in the early nineties.